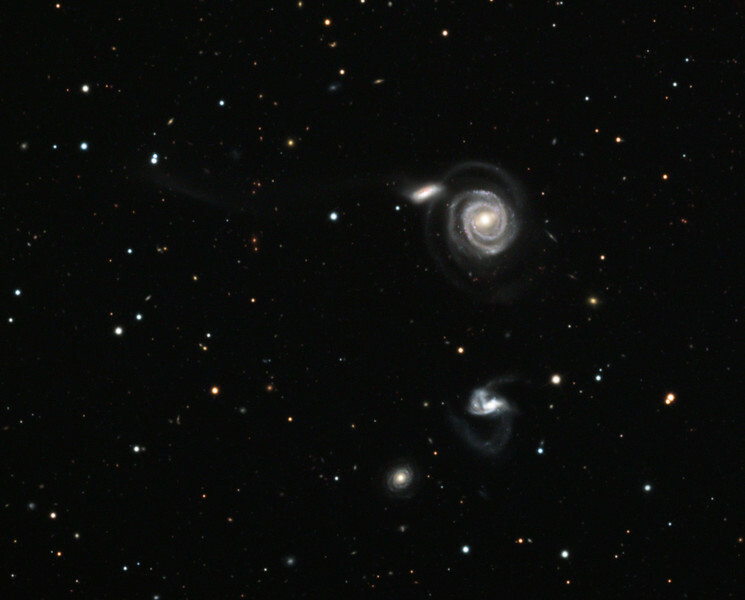 NGC 5754 and associated interacting galaxies, also known as Arp 297. 32 inch Schulman telescope with STX camera on Mt. Lemmon, AZ. Data capture and reduction by Adam Block, University of Arizona. LRGB processing by JDS using CCDStack and Photoshop. These galaxies are approximately 200 million light years from Earth.